Being broke is not fun, but there are things that we may be doing to make the situation worse. 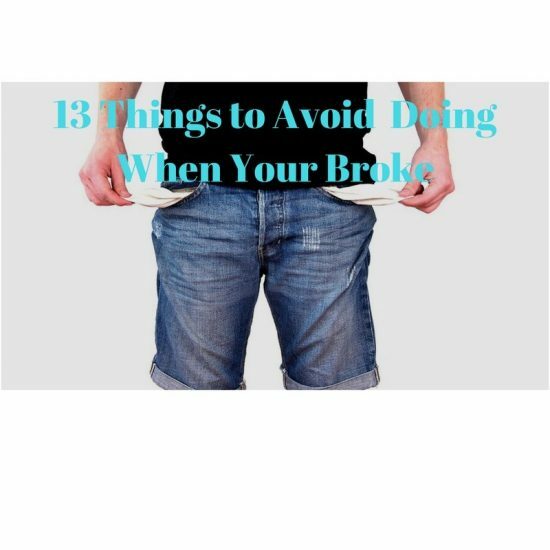 Here are 13 things to avoid doing when your broke (and in some situations, avoid doing altogether). As much as you may want to, avoid lending money to other people when you can barely make ends meet. Instead, offer them your time and talent and ask them if you may be able to help them in others ways. Lending money can ruin relationships if done incorrectly. Lending money when you don’t have any to lend can make the matter worse. Wanting to get rid of your debt is great, but opting to do it when funds are limited is not a good idea. If you have limited funds and run into some money like an income tax refund or monetary gift, resist the temptation to use the money to pay off debts. Instead, store up savings, lower expenses and live on as little as possible until things pick up. Be sure to make the minimum payments on your debts so you don’t negatively impact your credit score. If you have some cash saved up for a rainy day, avoid using these monies for anything other than taking care of your immediate needs. The longer you can make the money last, the better your financial situation will be when your income rises. Joining a gym or recreational club even if it will help to improve your health is not ideal. Instead, find inexpensive ways to use your own body and what you currently have to get in shape. It is important to avoid lifestyle inflation. If you are without work and are provided an opportunity to work part time, even in a position that is not in your field, it may be advisable take the job. There are many benefits to working part-time while looking for a more permanent, long term employment. First, going to work provides a routine that can keep you structured and motivated. It also brings in income, avoids long gaps on your resume and provides more opportunities for networking. Unless you have already paid for the vacation expenses (and their non-refundable), it is best not to go on vacation if broke. Even though the immediate relief of escaping your current stress may seem nice. The vacation debt ‘hang over’ you will cause more stress when you return. I know this sounds simplistic but if you were not on a budget when there was a steady flow of income, you will find it extremely stressful to operate without a budget when broke. Everyone can benefit from using a budget, most especially when money is limited. Going out to eat can be a great way to catch up with friends, socialize and even network. But make sure you are realistic with yourself and avoid eating out as much as possible. It may not be easy, but facing our financial situations head on is the quickest and most effective way we can get through difficult financial times. It may not feel that way in the moment, but as we address our financial problems, we are more likely to find solutions to them. Regardless of how the income and expenses are split in the home, it is important to disclose to your partner your financial situation. Even if your finances are separate, the financial decisions you make may impact them directly or indirectly, causing additional strain in the relationship that may have been avoided. This is particularly true if you live together and/or are in a serious relationship. It is important to get on the same page as your spouse. It is easier to get another job when you are already employed. No matter how much you dislike your job or how unfair your situation may be, resist quitting without another job line up. The income lost will be quickly felt if there is no back up plan or savings. Being broke means different things to different people. Some people may be making a six-figure salary and still be broke, while others can be making minimum wage. The opposite is true for feeling financially secure. When your financial situation gets better, make sure you have a game plan to decrease the likelihood of finding yourself in a bad financial situation in the future. This may mean different things for different people. You may want to implement a fully funded emergency fund, avoid lifestyle inflation by living well below your means, pay off your debts, have at least one additional side hustle job in the event you lose your job, automate your savings etc. It is also important to mention that being broke is as much as circumstantial thing as it is a feeling. 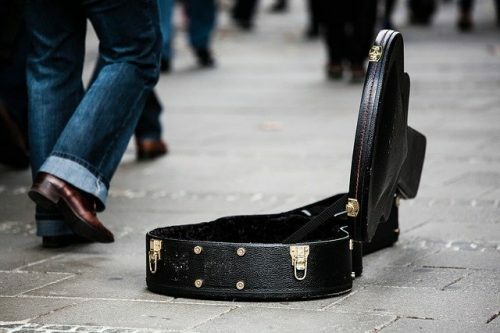 Some people may feel broke based on where they are and where they want to be. There is no right or wrong answer to what constitutes being broke. However, the steps needed to achieve financial security are similar.